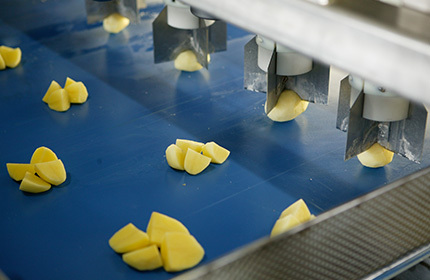 Finis Foodprocessing Equipment B.V. is located in the Netherlands, a country which has set the quality standards for fresh agricultural products. Since our founding in 1924 we have developed and produced peeling and cutting machines for all kinds of products and most of all vegetables. We are proud to have supported many large vegetable processing companies by improving their processing plants with turnkey solutions. We are committed to providing our clients with outstanding equipment to support them in creating added value in the foodprocessing industry.